The Motorola RAZR has been available for a while now, and there will also be a white version of the handset available SIM free in the UK from the 29th of March. The white Motorola RAZR shares the same specifications as the existing model, which include a 4.3 inch Super AMOLED display with a resolution of 960 x 540 pixels, there is also a dual core 1.2GHz processor and 1GB of RAM. Other specifications include an 8 megapixel camera which can record full HD video in 1080p, plus a 1780mAh battery and a mcroSD card slot. 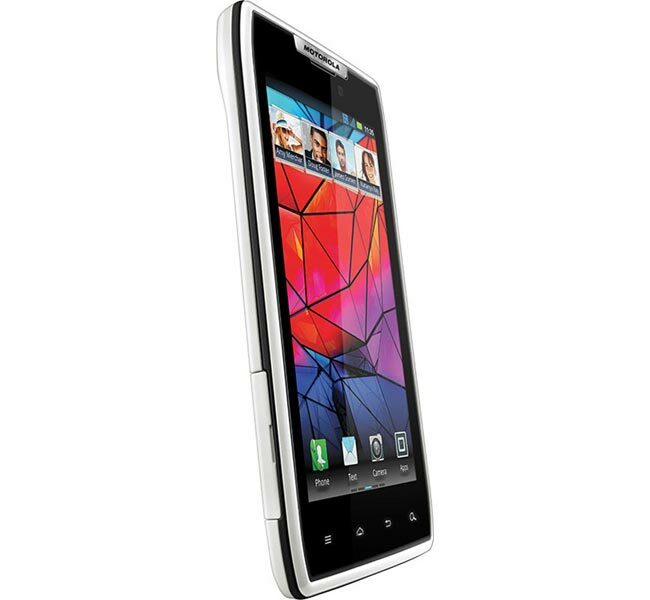 The white SIM free Motorola RAZR will be available for £382.80 including taxes and you can find out more information over at Clove.